Fresh Milk and Adopt A Stop continue the Fresh Stops collaborative project this month with Ronald Williams’ piece titled ‘Alpha’. In an attempt to bring art into the public space, six artists were commissioned to produce original artwork for benches that will appear at varied locations around the island. ‘Alpha’ by Ronald Williams has been installed in Independence Square, Bridgetown, St. Michael*. Thank you to Adopt A Stop for partnering with us to produce yet another fantastic bench! The other participating artists include Evan Avery, Matthew Clarke, Versia Harris, Mark King and Simone Padmore. This project creates visibility for the work of emerging creatives, allowing the public to encounter and interact with their pieces in everyday life, generating interest and inviting dialogue about their practices. 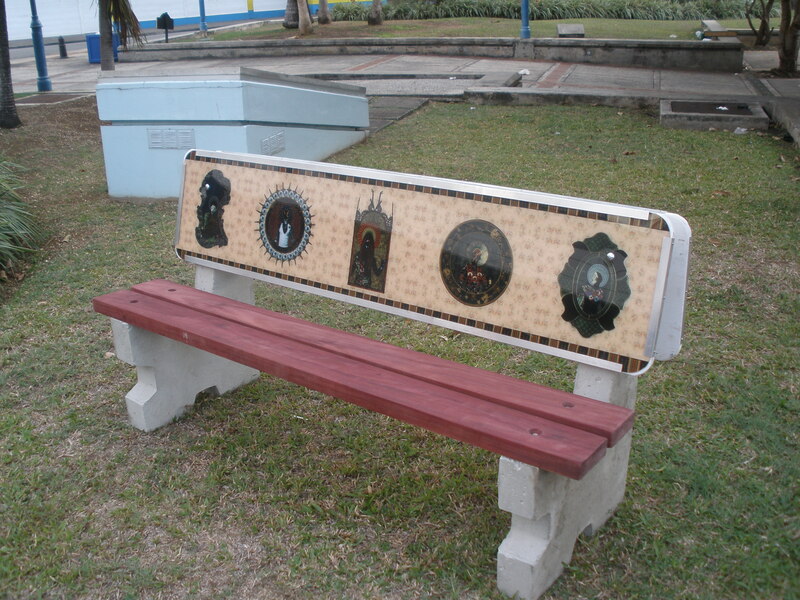 *This bench was formerly located in Jubilee Gardens, Bridgetown. Alpha attempts to question traditionally dominant Western beauty standards. It injects a black consciousness alongside, and at times instead of, the established images found in Classical Greek, Renaissance and Baroque eras. 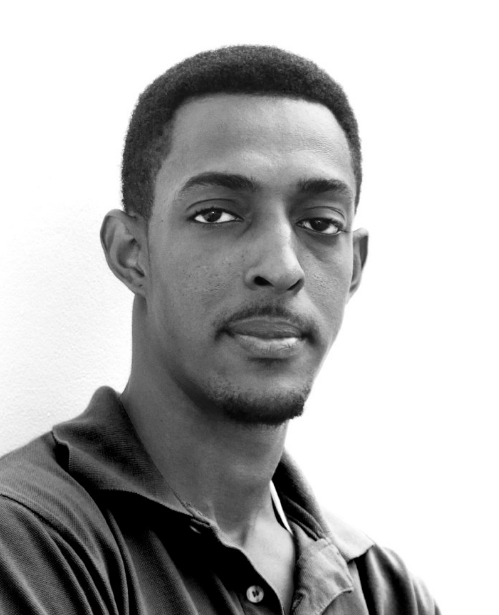 Ronald Williams is a multimedia artist and graduate of the Barbados Community College Fine Arts program. His work currently focuses on race and sociology, most recently investigating the role that sports and the black athlete play in society. He manipulates popular based imagery to compose computer-generated images that explore sports, perceptions, stereotypes and fantasies about the black athlete or figure. This collage series was shown in Scotland at the International Artist Initiated (IAI) project, presented by the David Dale Gallery & Studios as part of The Glasgow 2014 Cultural Programme which took place alongside this year’s Commonwealth Games. The Adopt A Stop project provides socially beneficial advertising in the form of bus shelters, benches and outdoor fitness stations at prime sites around Barbados. They embrace solar lighting, local materials and tropical design in keeping with their goal of environmental sustainability.